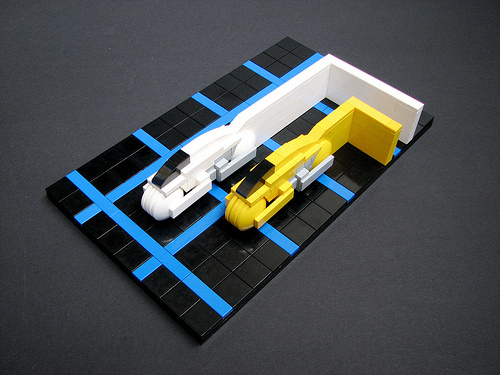 LEGO seems a perfect medium to build scenes from the 1982 movie Tron. These light cycles by Stefan (2×4) look like they’re going a million miles an hour. If you’d like to build your own LEGO light cycle, Stefan has also posted instructions. I like this in-color version better than his first one. Much more vibrant!